Marmara. Marmara, a beautiful Cycladic town, is located in the east of the Greek island of Paros, 15 kilometers (9mi) from the capital Parikia, and 10 kilometers (6 mi) from cosmopolitan Naoussa. 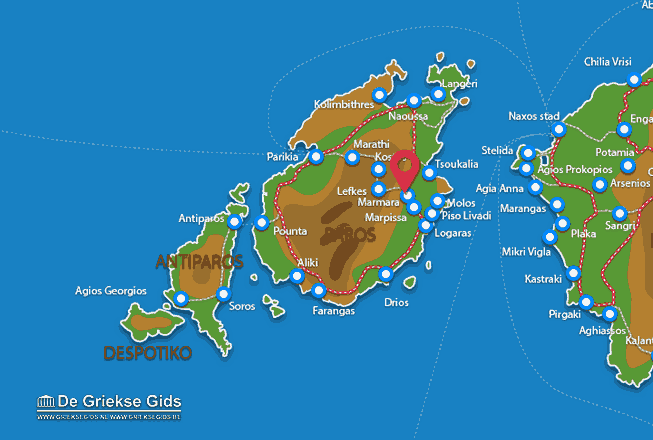 The nearest village is Marpissa (2 km, a little more than 1 mi) and beaches nearby are Molos and Kalogeros. 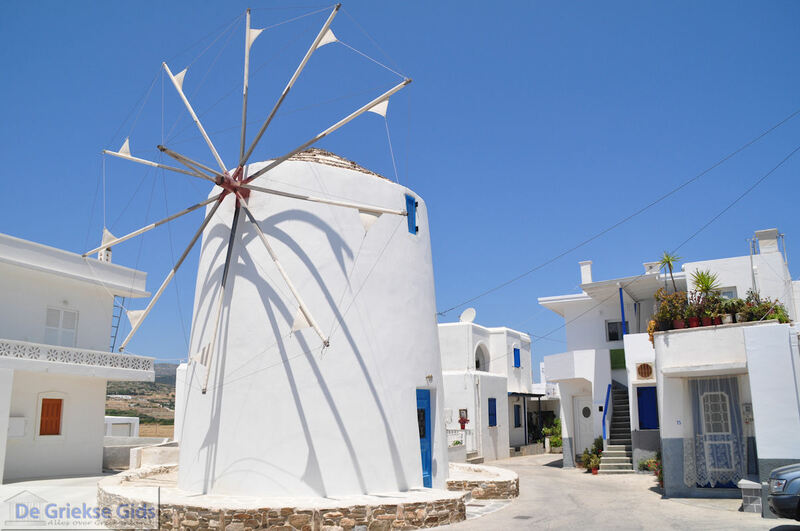 Upon arrival in the village, you are welcomed by a white mill. The village consists of whitewashed houses, narrow streets and a café in the town square. Marmara was founded in the 15th century by refugees from Crete. This village has many strikingly beautiful churches with bell towers. The church of Taxiarchis on the western side of the village was built in the 17th century, as were other churches including Aghios Savvas, Pera Panagia and the church of the Assumption of the Blessed Mother. The name of the village, Marmara, comes from the large amounts of marble found here. Marble was used to build houses. This marble was also used in churches for the floor and for the pillars. 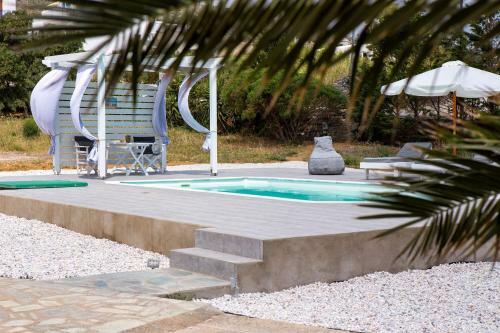 When you stroll through the village you will see many beautiful mansions and interesting marble basins made of marble columns from an ancient Greek temple that used to stand here in the region. The inhabitants of the village are now mainly farmers because the land here is very fertile. Livestock plays an important role in the local economy. 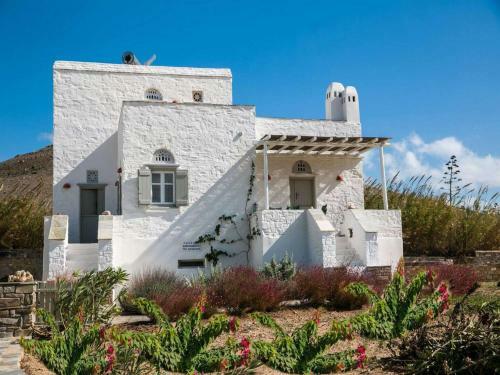 Paros has many cows and a milk factory that is run by the local agricultural cooperative. 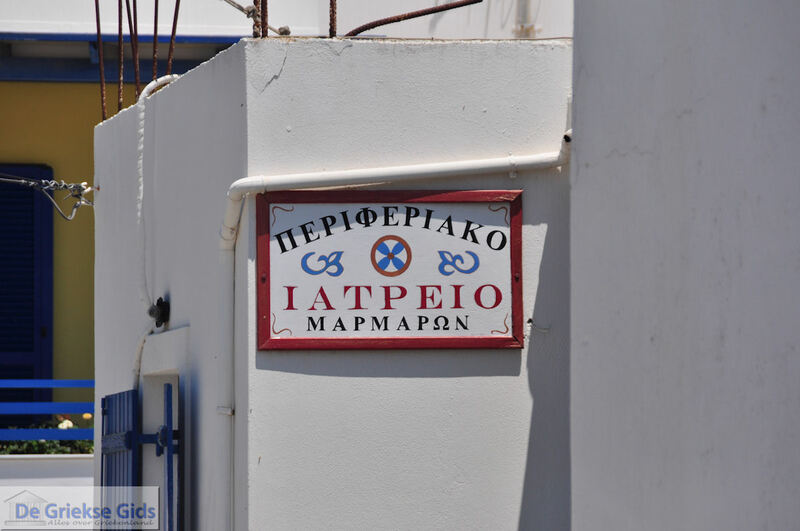 Paros: Where on the map is Marmara located?